Ford Kuga Performance, Engine, Ride, Handling | What Car? There’s lots of engine choice in the lineup. Among the diesel offerings, the one that sticks out is the 2.0 TDCi 150. Sure, it feels a little flat at low revs but builds speed fairly swiftly when the turbocharger kicks in at around 1800rpm. In all, it offers the best combination of performance and economy, because the more powerful 2.0 TDCi 180 doesn't feel vastly quicker. If you’re after maximum miles to the gallon, consider the entry-level 1.5 TDCi 120 diesel. But with only 118bhp, performance is adequate and it struggles a bit when fully laden with people and bags. As for the petrols, the 1.5 Ecoboost 120 feels relatively slow, so the best bet is the 1.5 Ecoboost 150. It’s available only with front-wheel drive and a manual gearbox, but offers decent performance and doesn't command a huge price premium. The 1.5 Ecoboost 176 in theory has more grunt, but its standard four-wheel drive and automatic gearbox blunt performance, so it's actually slower. For those who need to tow, four-wheel-drive diesel versions of the Kuga can pull a braked trailer weighing up to 2.1 tonnes. 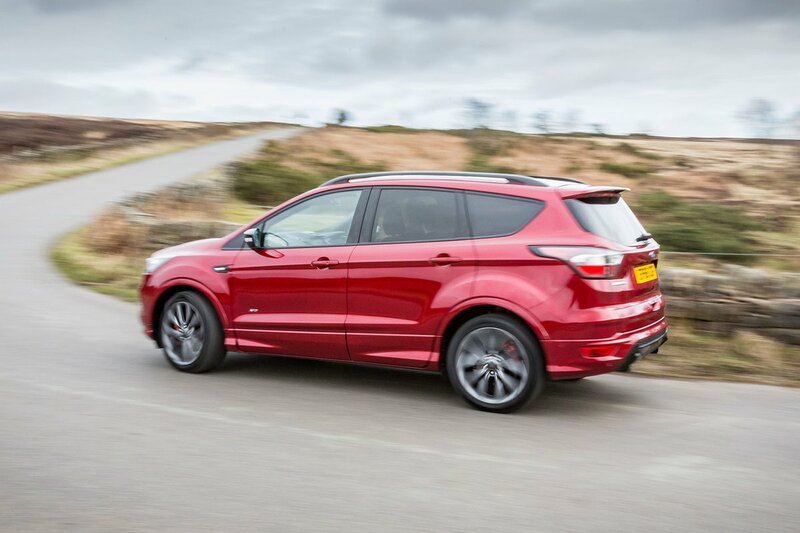 Speed bumps and smooth-edged undulations are no problem at all for the Kuga, which deals with them ably without too much pitching and wallowing. The car keeps a close check on its body movements at all times, so there's no nausea-inducing body bounce along country roads. However, the Kuga doesn't deal so well with poorly patched-up town roads, or coarser surfaces in general. They cause it to thump and shimmy more than a Peugeot 5008 or Honda CR-V would. And the stiffer ST-Line model, with its sports suspension and bigger wheels, makes things even lumpier. As a result it’s best avoided and we’d stick to trims that have the softer, standard suspension and smaller wheels. 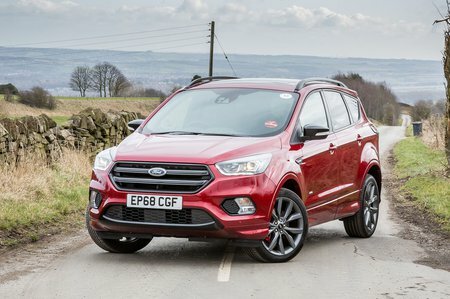 Ford’s line-up includes some of the best-handling family cars on the planet but, sadly, the Kuga isn’t one of them. Yes, it stays more upright than many of its rivals (including the Honda CR-V and Skoda Kodiaq) through tight twists and turns, but it also feels comparatively nervous, since its front tyres try to follow every camber in the road and its steering is far too keen to self-centre. You might imagine that adding sports suspension (standard on ST-Line trim) and big wheels would improve things, but we'd actually recommend avoiding this combination. The Kuga actually feels at its most stable and composed with the smaller 17in alloys and regular suspension that come as standard on the Zetec. The diesel engines are boomy at idle or when under load, but settle down at a cruise. The petrol engines are quieter and smoother at lower engine speeds, but need to be revved more than the diesels, at which point they can sound a little thrashy. 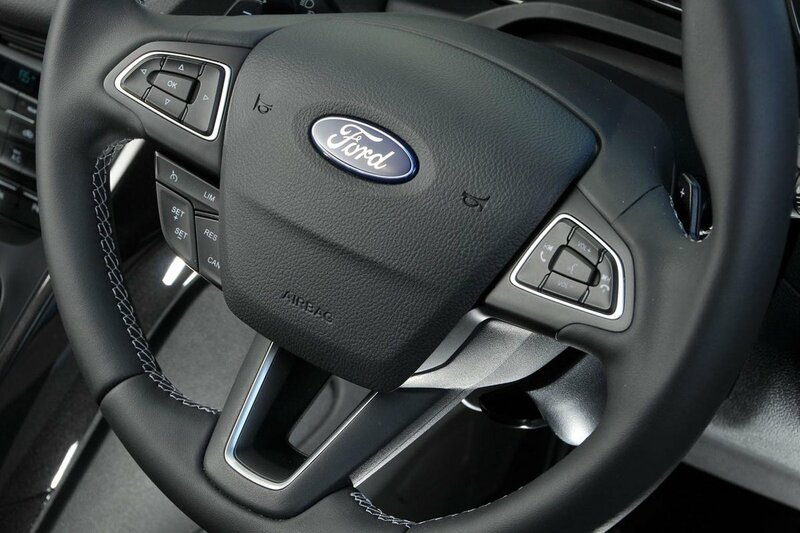 Meanwhile, the Kuga's gearshift and clutch have light but positive actions, making it relatively easy to pull away and change gear smoothly. The automatic gearbox is at times a little lumpy through the gears, though. Wind noise isn't too bad by class standards, although you will notice more road noise on the motorway than you would in the equivalent 5008, Kodiaq or the particularly hushed Citroën C5 Aircross – especially in versions with bigger alloy wheels.